Add the hot water and a steamer rack to the insert. Place the pork chops onto the rack and season with salt and pepper. Let rest for 5 minutes before serving or slicing. Cooking time may vary depending on thickness of the pork chops. 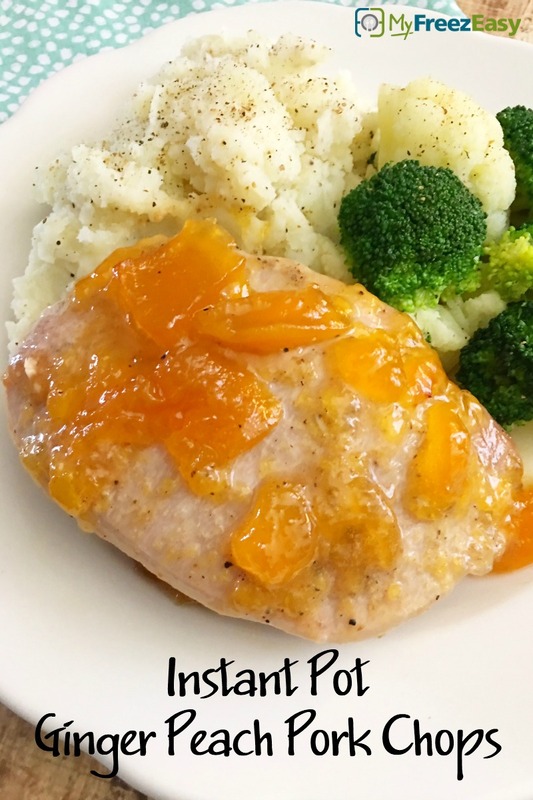 Serve Instant Pot Ginger Peach Pork Chops with veggies and mashed potatoes. Remove as much air from the bag as possible, add label and freeze. Put baggie in the freezer and freeze up to 6 months in fridge freezer or 12 months in a deep freezer. Thaw in the fridge overnight, or a warm bowl of water for about 20 minutes, before transferring to pressure cooker insert with hot water and steamer rack. Pressure cook as directed. 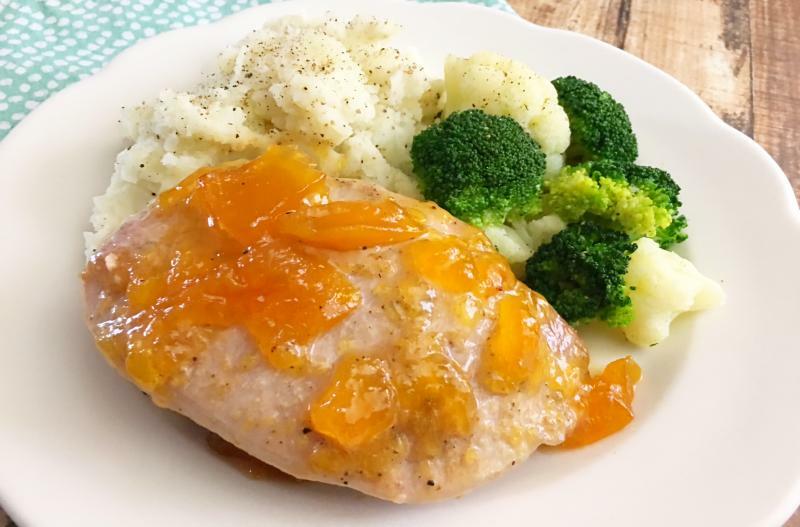 Thaw, add hot water and steam rack to Instant Pot and then place pork chops and glaze onto steam rack. Cook on high pressure for 15 minutes with sealed valve; then natural release.